Bastion specialises in resolving anti-ballistic or determined forced entry problems via defined products or unique tailored solutions. Our BastionWALL modular product provides unique flexibility; it can be used to divide an existing space, create 5 or 6 sided rooms of virtually any size or reinforce weak walls at risk of break-through attack. As a retrofit solution, it is unequalled and is anti-ballistic rated to FB4 as standard, with up-armouring possible. We also can provide accurately cut, special performance materials, to up-armour existing facilities and thereby minimise costs and disruption. CCP Gransden are flexible and dynamic AS9100 Accredited SME specialising in the design and manufacture of advanced composites. 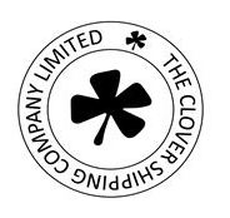 Based in Belfast Northern Ireland, CCP offer our clients performance improvements by the intelligent use of advanced composites and our world class manufacturing capabilities. To meet the individual needs of our clients, CCP Gransden has invested in the creation of a unique and world class automated, flexible manufacturing cell to produce high quality aerospace grade advanced composites in a fast and repeatable manner. Our cell is centred around an 1100T Engel press that has a work area of 1.8x1.3m . We have over 10 processes available in-house for manufacturing advanced composites from both Thermosets and Thermoplastics (including continuous fibre reinforced PEEK, PPS and PEI), thereby giving us increased flexibility to meet the challenging needs of our clients. We can facilitate supply in low, medium and high volumes (thanks to our ability to manufacture composites in as little as 1 minute using our state of the art automated manufacturing processes and lean manufacturing approach). EPC-UK EDSL draws upon over 100 years of experience in the manufacture, handling, storage and transportation of explosives and is a world class supplier of explosives and related products offering tailor-made turnkey solutions to the market place. As a European Distribution Warehouse for the supply of explosives and related products, EDSL is the sole UK Agent for Combined Systems Inc., and teams with a number of internationally renowned companies such as, Eurenco Bofors AB, Eurenco SNPE, Explosia a.s. and Event Horizon, for the distribution of their products. At EDSL, we work with customers developing innovative products to meet end user requirements. Part of the EPC Groupe with an international presence throughout Europe, West Africa and the Middle East, EDSL supply security related products and services worldwide, using our own dedicated logistics company - EPC Logistics. This range of integrated capabilities also benefit from our remote 1200 acre site close to the international ports of Felixstowe and Harwich as well as regular sailings from our very own licensed explosives dock (and bonded warehouse) to the European mainland. EDSL has a wealth of experience in the assembly, testing and integration of weapon systems. Our technical explosives expertise in the military and the civil sectors enable us to provide comprehensive disposal and demilitarisation services. We have extensive explosives and weapons storage facilities, process buildings, trials and demilitarisation grounds and are able to provide a full range of training facilities, including Explosive Methods of Entry, Search Techniques and Procedures, Counter IED training facility and demolition range, enabling customers to benefit from a realistic and more rewarding training experience. EPC-UK EDSL professionalism is epitomised in our high-quality and experienced staff who take immense pride in their commitment to our customers. EPC-UK EDSL is uniquely placed on the world stage to provide single-source solutions that meet the needs of our customer today, tomorrow and into the future. Textile engineers - established designers and manufacturers of an extensive and innovative range of textile articles for military and civil applications to the highest specifications. Integral heating, radio-frequency and infra-red screening, anti-static, reflective, anti-flash, waterproof, weatherproof and disruptive pattern are some of the properties incorporated into such products as harnesses, haversacks, instrument and computer cases, radio packs, camera covers, resuscitation and respirator cases, slings, straps and first-aid packs. We offer a 'problem solving' design and prototype facility enabling us to identify and adapt to a customer's precise needs including batch production of small trial quantities at very short notice. The Company is registered to AQAP-4 and is a contractor and sub-contractor to MOD(UK). Some 11,000 people are employed across manufacturing facilities in Asia, Europe and North America and regional bases in Brazil, India and the Middle East. Meggitt’s civil aerospace presence covers large commercial transports, regional aircraft, business jets, helicopters and general aviation. Its defence markets cover all military aircraft types, land systems, naval platforms and aerial, land-based and marine threat simulation training and weapons systems development. The firearms element of this capability extends into law enforcement and security organisations. The group’s growing presence in energy is driven by our core fluid controls, heat management and sensing and monitoring capabilities, many of which are deployed to help reduce the maintenance costs, fuel consumption and carbon emissions of industrial gas and steam turbines. Municipal Security Ltd offer specialised / customised physical and ballistic protection equipment to the Public Sector Organisations and Utilities. Our expertise is in provising cost effective solutions in terms of equipment and locking systems, using our factory facility which is very flexible in output. Within the company is 1010security.com - our online store for safe retro-parts and conversion kits. Additionally, installations and service are provided from our distribution centre in West Sussex.